Spectacular Mount Bromo at Sunrise. 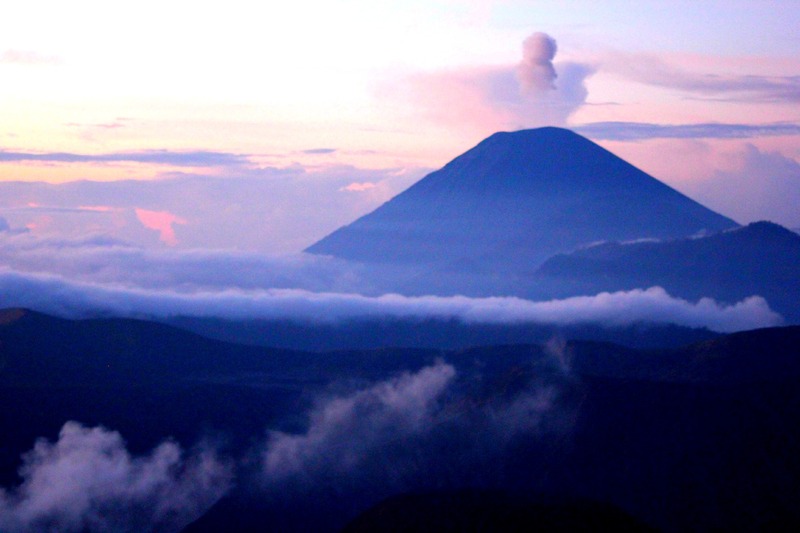 Anyone who isn’t a little intrigued by the magic of volcanos is a little suspect in my opinion. I remember trying to create my own mini volcanos with a chemistry set and various kitchen ingredients as a kid but I never really dreamed that I would get the chance to see one. Let alone an active one and get so close that the sulphurous fumes would take over all my senses. So first stop Mount Bromo. The trail from Yogyakarta to Bali is not for those that like sleep and hate long bus journeys, but it was worth every sweaty sleep deprived second. An 8am start and a bus journey all the way to a basic lodge near Mount Bromo, arriving at around 9pm. Up at 3.30am and a quick trek up to a view point to see Mount Bromo in all its glory as the sun comes up. Mount Bromo as the Sun came up. 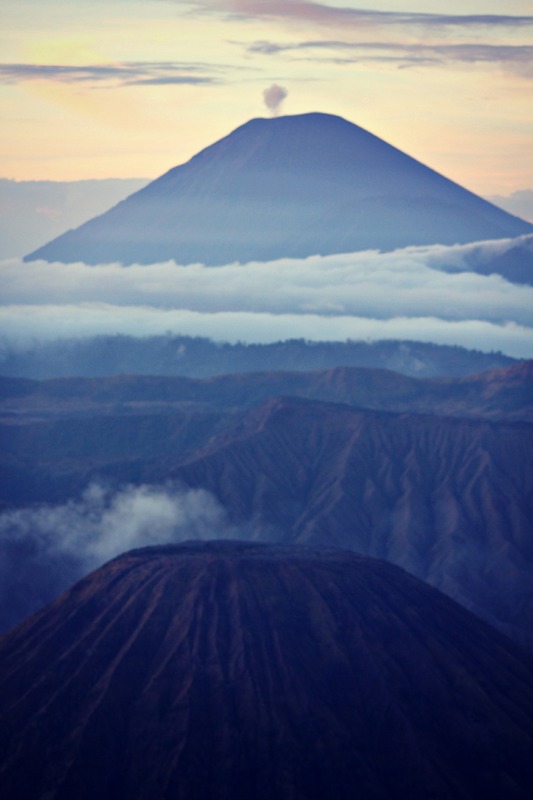 The surreal beauty of Mount Bromo. 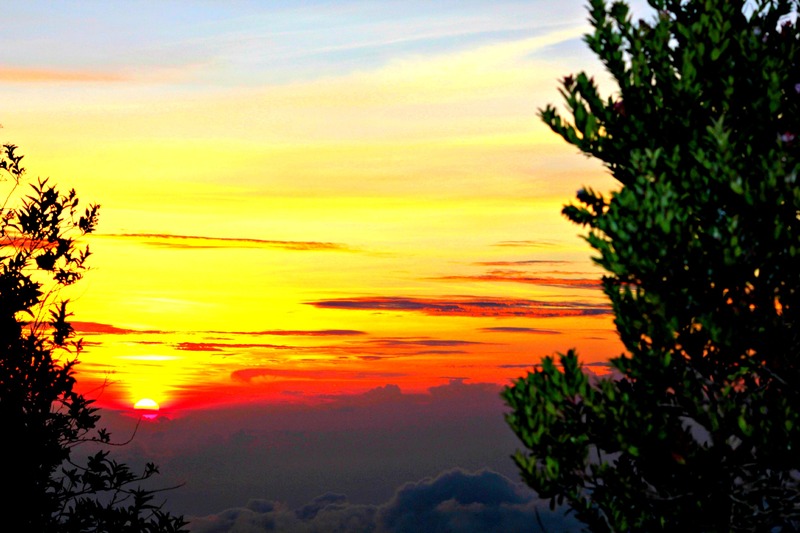 The sun rising next to mount Bromo. Then an uphill hike to Mount Bromo’s crater. 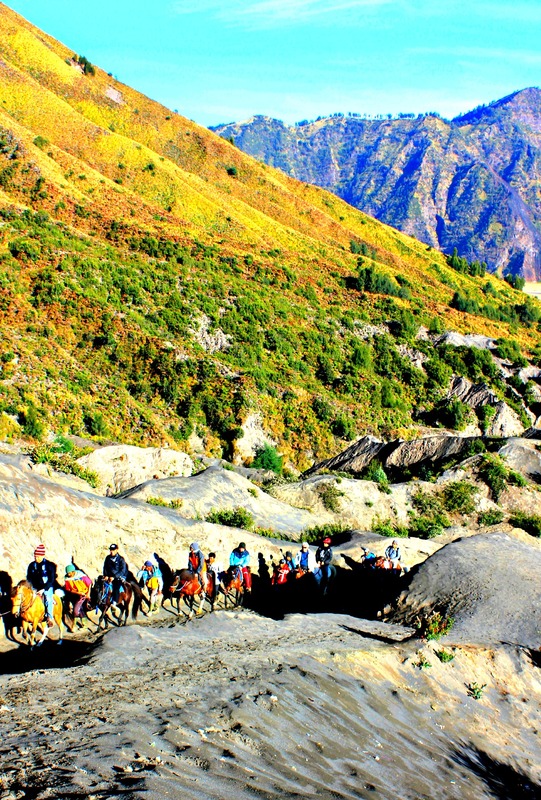 The Climb up Mount Bromo. Horses are for the Unfit! The sulphur was quite strong and had a definite stench of rotting eggs, but the views were unbelievable. 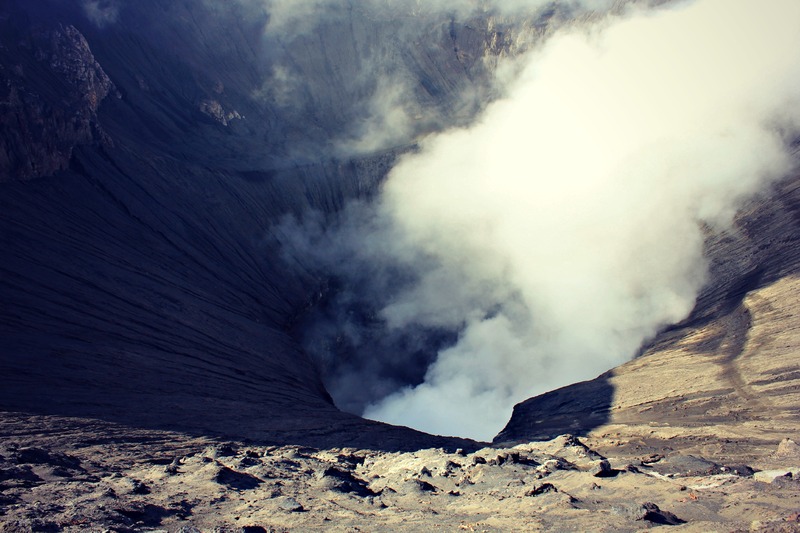 It was difficult to take in the fact that I was looking straight into the mouth of a volcano – wow! 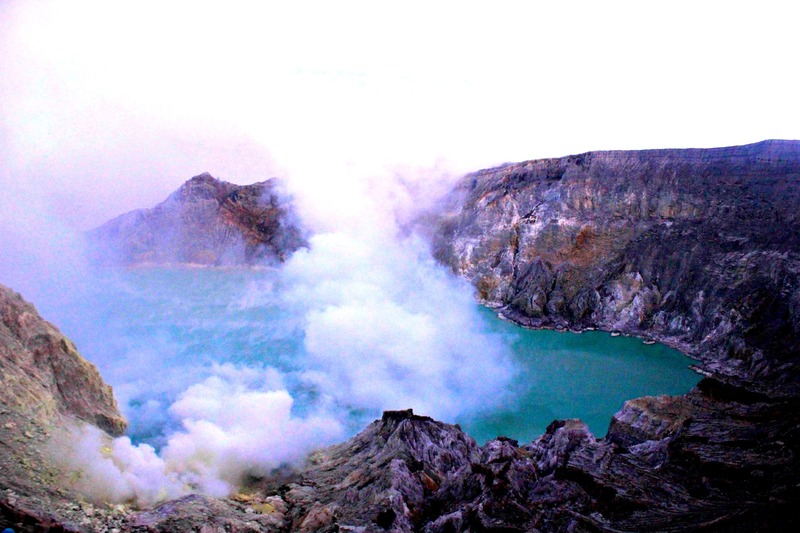 Staring into the mouth of Mount Bromo. 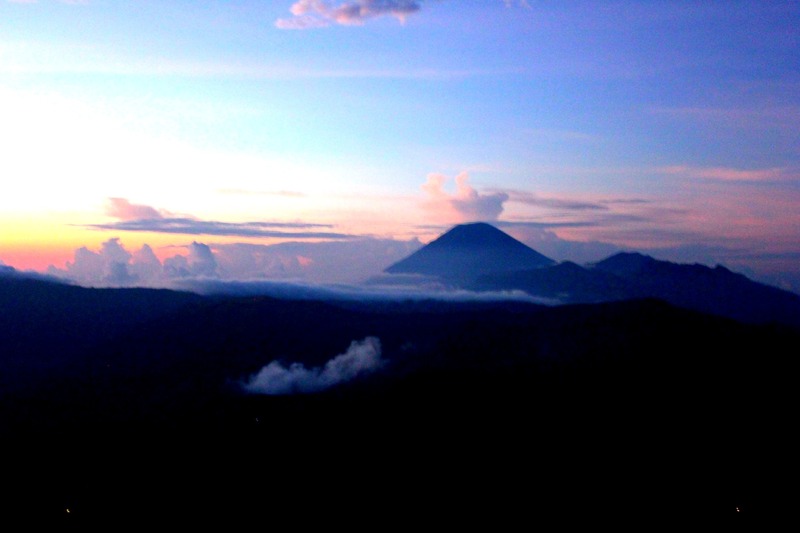 Off again at 11am and heading straight for Ijen. We landed at around 4pm in a really bizarre homestay. No matter, quick bite to eat but mainly trying to sleep. A 1am start for a chance to see some magical ‘blue fire’. Literally had no idea what this blue fire was going to comprise of and it doesn’t seem to be documented in the bible (i.e. Lonely Planet), so we felt like explorers when we set off. An hour or so hike up the volcano in the pitch black. A few had flashlights but we were pretty unprepared as we had no idea in advance that a night hike would be involved. A couple of local guides were dotted around but basically we relied on each other to check that we were still en route up to the top. We took mountain paths uphill all the way, with no clue what the landscape around us looked like. 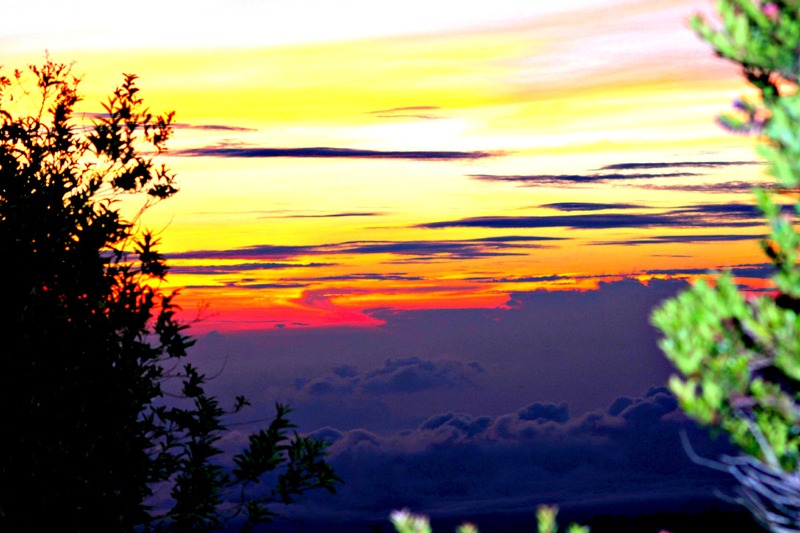 We reached the top and there deep below the crater was engulfed in dancing blue and violet flames. Possibly one of the most spectacular things I’m ever likely to see but near impossible to capture on camera. 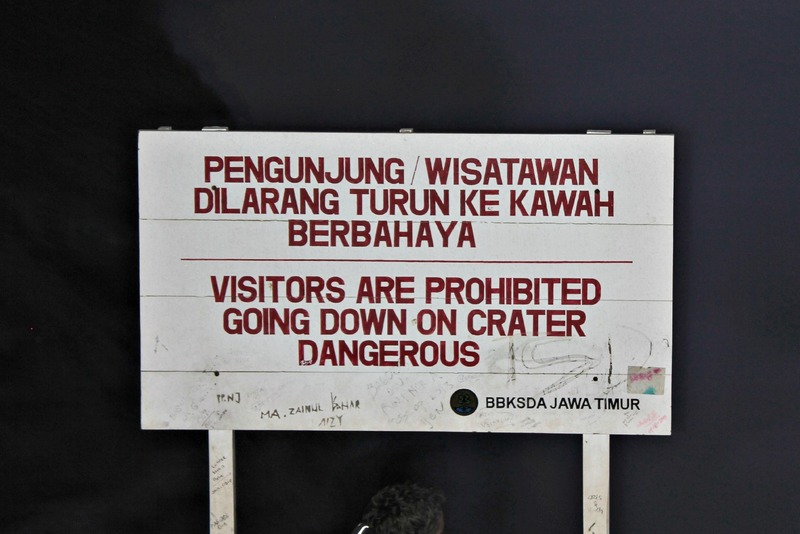 Now for the descent into the crater, still in complete darkness. It’s difficult to describe how I felt at that point, a mixture of fear, adrenaline, WTF am I doing but overall this is probably one of the most exciting journeys I’m ever going to take in my life. We started the near vertical climb with little light and a few falls. The rocks slipped from under our feet but there was absolutely no way anyone wanted to head back up. 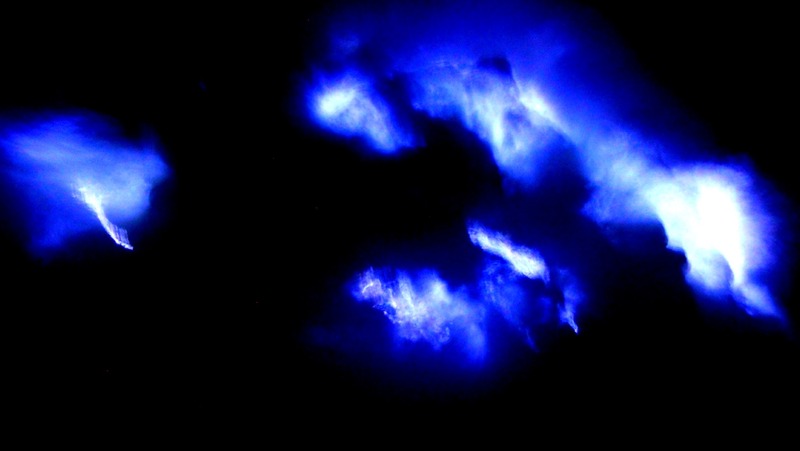 We headed towards the blue fire. Roughly an hour after we started the decent we made it to the mouth of the crater and the flickering blue flames. It was thrilling and I’m not entirely sure why but images of the witches in Macbeth sprang to mind. It was a truly magical experience. 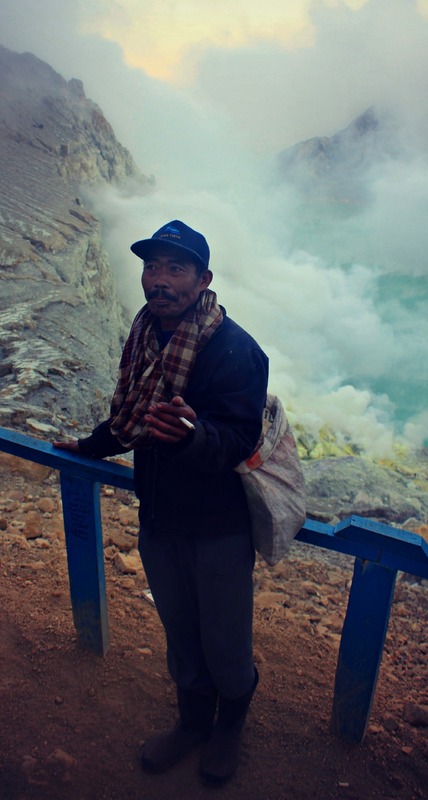 We wanted to get as close as possible to try and capture this unbelievable sight on camera, but then the wind changed and the sulphur cloud closed in on us. I couldn’t breathe, my eyes stung and there was no way to climb quickly out of its reach. We all stood like fools with scarves wrapped round our faces whilst scrambling to a safety point – made it, but the adrenaline was pumping. Oops only spotted this when we got back to the top. We made the climb back up, still in darkness and sat at the top waiting for the sun to come up. When the light shone and the clouds lifted the blue fire was gone and a spectacular lake appeared. The Lake within the Crater. Our chirpy Local Volcano Guide. This was one of the most mind-blowing experiences and my words and photos do not do it justice.